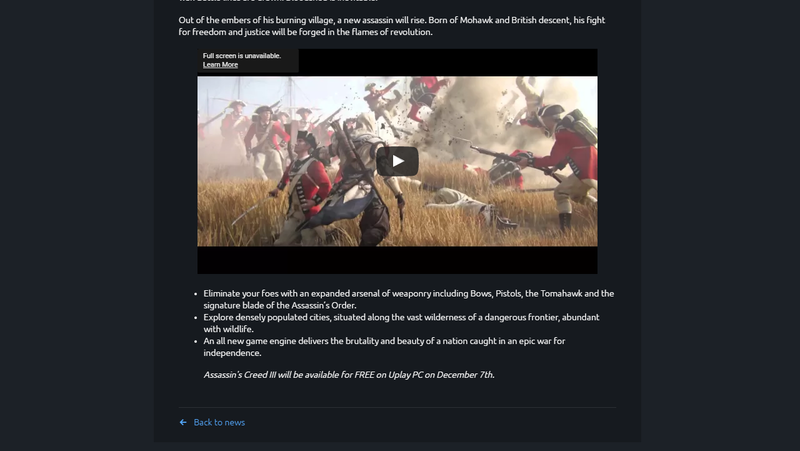 Assassin’s Creed III will be the final game on Ubisoft’s 30th Anniversary giveaway. 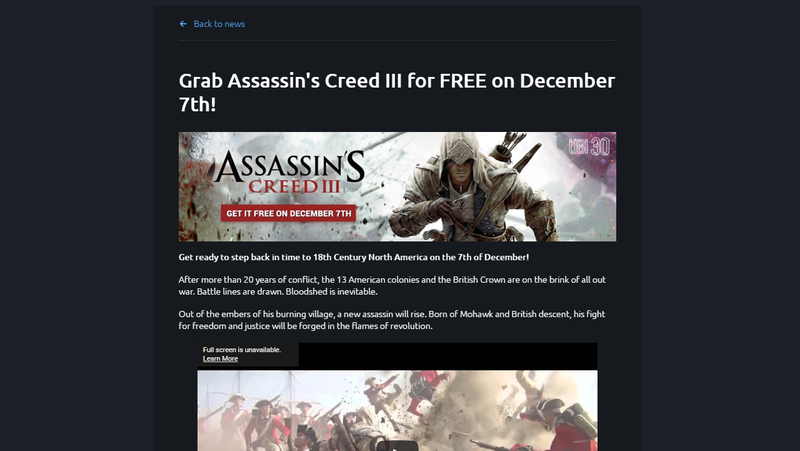 Yes, it is Assassin’s Creed III and it will be free starting December 7. 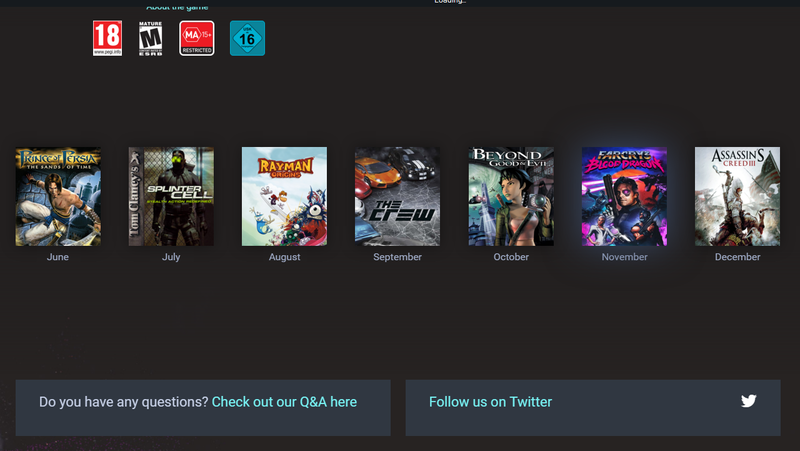 All you need to do is register a Uplay account, download the Uplay client and download the game from the client. Assassin’s Creed III was nominated for six awards in the 2012 Spike Video Game Awards: Game of the Year, Best Xbox 360 Game, Best PS3 Game, Best Action Adventure Game, Best Graphics, and Character of the Year (Connor). 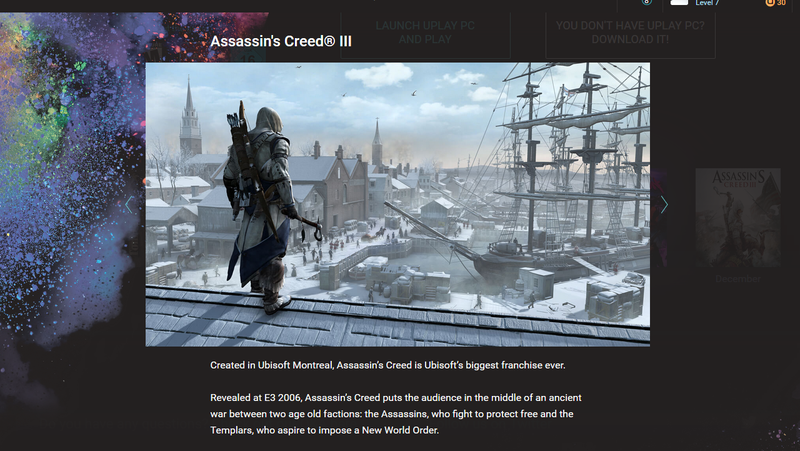 GameTrailers awarded Assassin’s Creed 3 Best Action-Adventure Game of the Year 2012 while Game Revolution named Assassin’s Creed III its Game of the Year 2012. For the 2013 D.I.C.E. Interactive Achievement Awards, the game won the award for Outstanding Achievement in Animation and was nominated for Adventure Game of the Year, and Outstanding Achievement in Sound Design. Assassin’s Creed III also received four Game Developer’s Choice Awards nominations for Best Audio, Best Narrative, Best Technology, and Game of the Year. 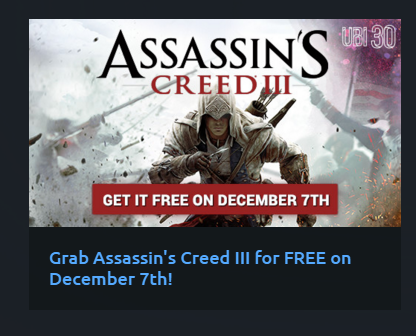 This is gonna be the best free game giveaway for this year. 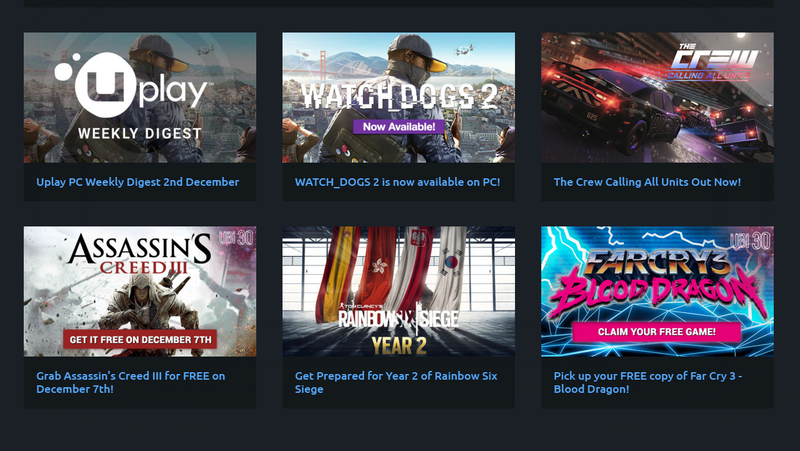 Mark your calendar – December 7 on Uplay.